STK, the born-in-London smartphone brand, has expanded its fast-growing product range in South Africa by bringing the STK Sync 5e Android 6.0 (Marshmallow) smartphone with 5-inch high-definition display to the local market. Crafted with a blend of the finest materials and a beautiful aesthetic design, the Sync 5e offers a luxurious smartphone experience at a wallet-friendly price. The Sync 5e’s HD / IPS display technology with glass delivers a crisp and vibrant viewing experience from any angle. In addition to a 13 megapixel, rear-facing camera for capturing your memories in vivid detail, you can also snap the ultimate selfie at any the time of the day with a front facing 5 megapixel camera complemented by a flash. 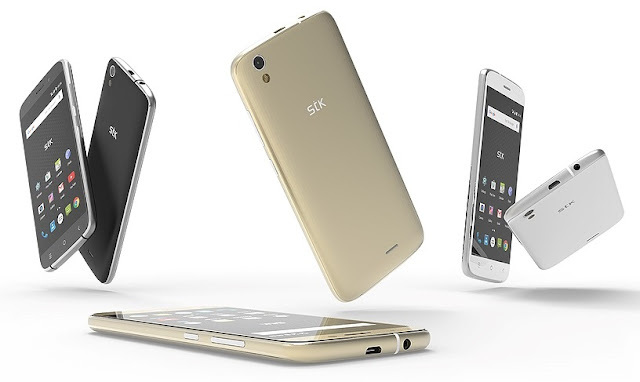 Supporting dual SIMs, the STK Sync 5e boasts a 1.5 GHz quad-core processor, 8GB of memory (expandable to 32GB) and 1GB of RAM to offer a smooth performance for your media apps. It lets you do all the things you’ve always wanted to do, within a streamlined STK user experience. Says Eben Heunis, Regional Manager at STK South Africa: “The Sync 5e embodies our London passion for redefining luxury by merging design, innovation and technology to create beautiful mobile devices. For the more demanding customer, the Sync 5e Android smartphone is an affordable, impressive and attractive smartphone that you can show off to your friends, families and co-workers. Like all STK mobile devices, the Sync 5e comes with a three-year warranty and features the preloaded STK Care ‘smartphone doctor’ app. STK Care runs silently to keep your device fully optimised and brand new every day saving customers time and money by avoiding to have to come back to the store of purchase with any concerns. In addition to allowing users to easily run tests to detect any hardware/software issues and fix them on the spot, STK Care also has a Live Chat feature, allowing users to chat with an STK Care technician, 365 days a year. STK has teamed up with AVG to offer the world’s best smartphone security and protection for free. The Sync 5e is available from major retailers across southern Africa, including PEP, Ackermans, The Foschini Group, OK and Shoprite, with a recommended retail price of R999. #BornInLondon, STK is a 24 year old mobile technology firm dedicated to offering premium, forward-thinking accessories and smartphones. Built upon an ethos of innovation and creativity, STK strives enhance and enrich your Smart Life, challenging the norm by creating exceptional products that serve the purpose of enhancing the way people live through technology. The company’s passion lies in redefining luxury by merging design, innovation and technology to create beautifully-crafted accessories and mobile devices.